Publish it because, to be honest, it is useful if you’re looking to get one. At least stick the info into one story, rather than chopping it up into lots of little stories so that we can pepper you with lots of tweets throughout the day to keep you coming back. 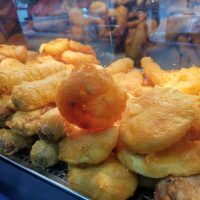 Be brutally honest with you throughout this article. Drink a nice refreshing cup of tea after writing this, because I’m parched. So, the iPhone 7 and the iPhone 7 Plus are available today. 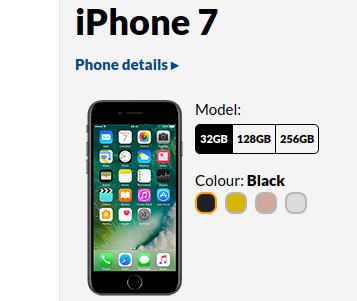 Mobiles.co.uk have given us the leading tariff details for the iPhone 7. These are the ones that are selling best for them, and they’ve basically emailed us so that we can mention them, then they get more sales and their profits increase. It’s how the wheels turn. I’m sitting here in my flip-flops eating toast, and they’re part of Dixons Carphone with a revenue of £9.738 billion last year. Hmm.. Anyway, if you want the 32GB iPhone 7, here’s their top two sellers.. 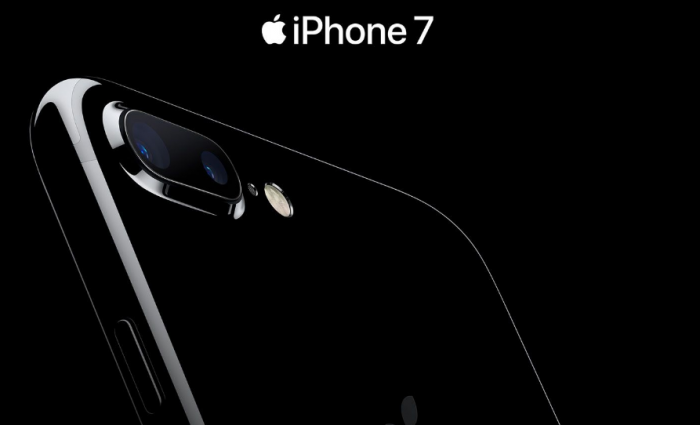 Meanwhile, giffgaff are to offer both the iPhone 7 and iPhone 7 Plus today. They’re a pretty good MVNO, I must say. They run off the O2 network and the phones they sell are unlocked. You can choose a monthly “goodybag” from £5 up to £20 for the airtime. Once you’ve sorted the phone out (you can buy the iPhone 7 outright for £599 or get it on a pay monthly basis via RateSetter), you just get the package you want and you can tweak that monthly if you want. As an example on pricing, for £20 per month you can get unlimited UK minutes, unlimited texts and “always on” UK data. Head to www.giffgaff.com/apple/phones for more info, but here’s more details on their pricing. The pay monthly price is quoted with £25 deposit over 24 months..